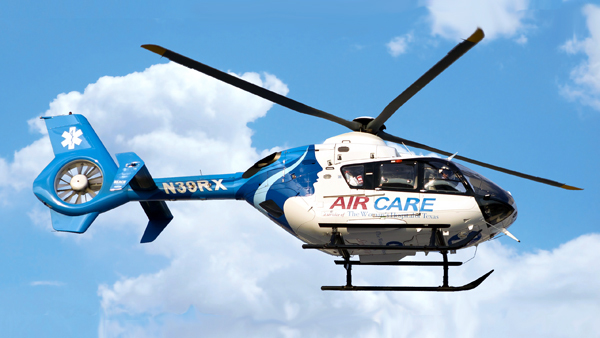 REACH Air Medical Services, headquartered in Sacramento, California, provides air medical transports for critically ill and injured patients across the Western United States. 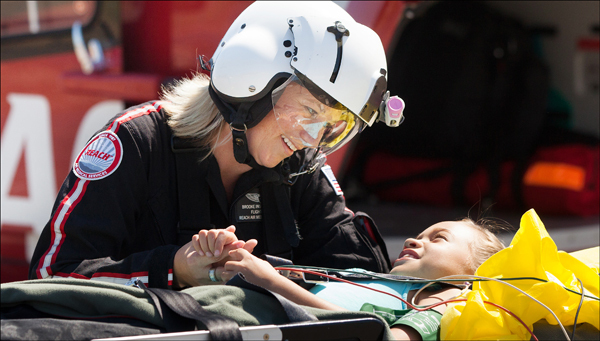 Patients receive an ICU-level of care from our highly skilled nurses and paramedics. 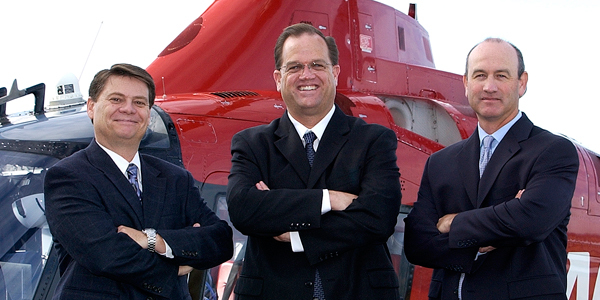 Our experienced pilots fly patients aboard our medically equipped helicopters and airplanes. 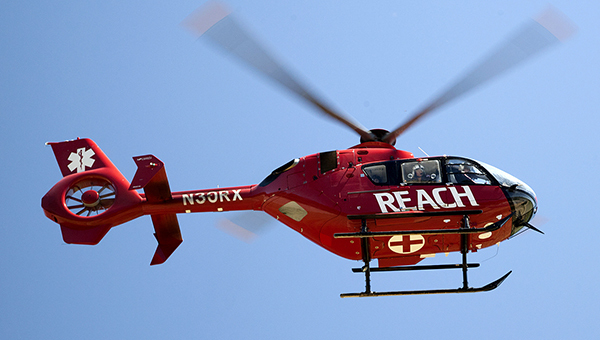 REACH operates more than 50 air ambulance bases located in California, Oregon, Nevada, Montana, Colorado and Texas. 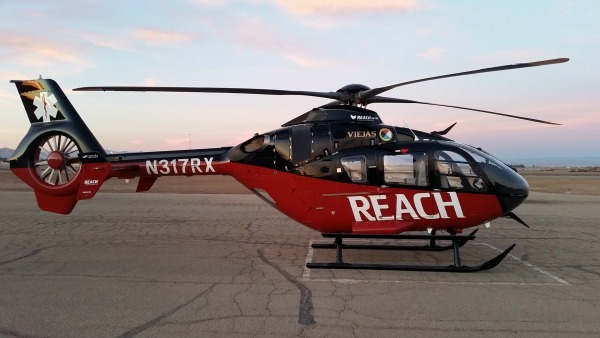 On March 20, REACH opened a second emergency air medical base in Victorville, California offering emergency air transport services 24/7. The base works closely with American Medical Response of San Bernardino County and will also operate alongside our first Victorville location run in partnership with the San Bernardino County Fire Department. The central location will result in faster response times for emergency and trauma patients in San Bernardino County and the surrounding regions. On June 6, our REACH 3 base relocated to Napa, CA to provide additional air medical resources to the region. 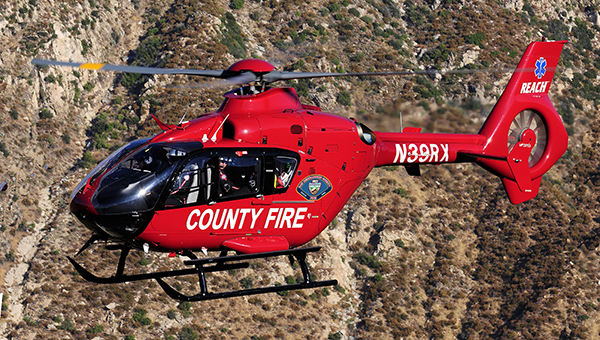 On February 7 REACH 13, in partnership with San Bernardino County Fire, moved their air ambulance base to Victorville, CA. On December 2, our Methodist AirCare programs in San Antonio and Pearsall, TX transitioned to our sister company, Air Evac Lifeteam. 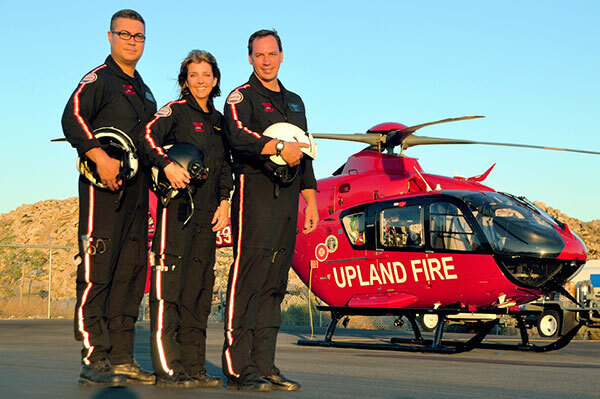 On July 22, REACH 13 in Upland, CA transitioned from Upland Fire to San Bernardino County Fire operated by REACH Air Medical Services. On June 13, REACH 8 opened in its new location in Roseburg, OR to serve patients and customers throughout the Southern Oregon region. Patients will be transported in an Agusta A109 Power helicopter. On April 4, 2017, REACH Air Medical Services opened a new air ambulance base in Murrieta, CA to serve the French Valley region. 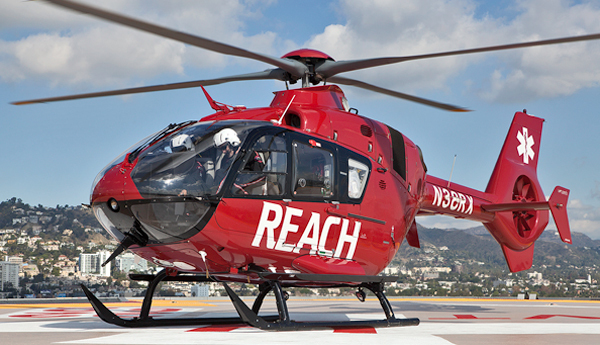 In March, Sierra Lifeflight joined the REACH family of brands. 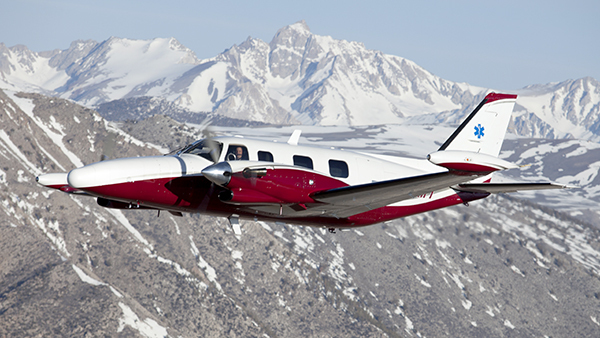 The fixed-wing service provider has a long history of excellent service to the patients and customers in the Eastern Sierra region of California. 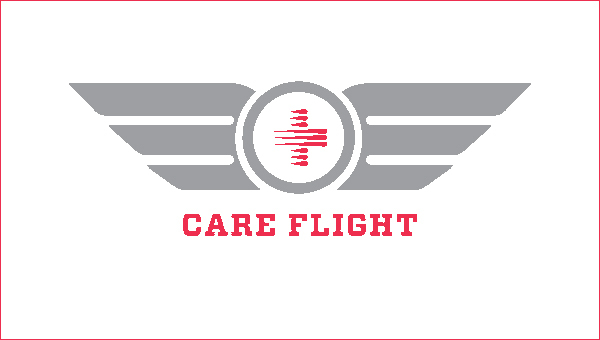 In March, Care Flight critical care provider in Reno, NV selected REACH to provide aviation services for their fixed-wing program. 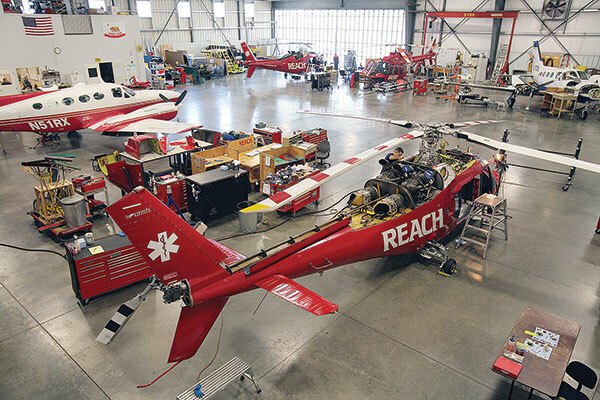 REACH provides the aircraft, pilots and aircraft maintenance technicians, while Care Flight provides the medical crew and runs the daily operations. 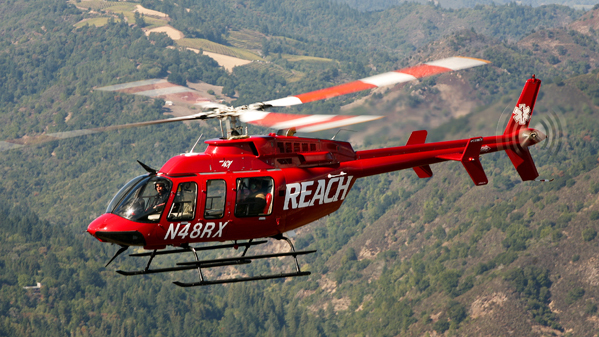 In March, REACH announced the planned opening of a new air ambulance base located in Napa, California. The base, to be located at the Napa County Airport, will transport patients on board an EC135 helicopter. 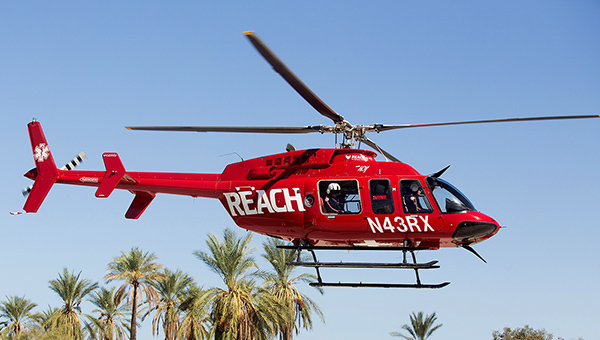 In October, REACH Air Medical Services relocated helicopter service from Thermal, CA to a new base in Brawley, CA, expanding air ambulance services in Imperial County. The base in Thermal switched to airplane-only base location. 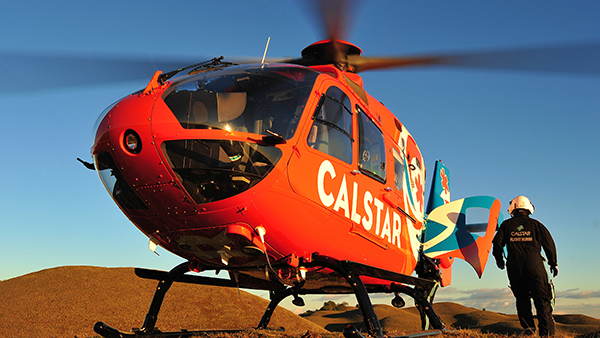 In June, REACH Air Medical Services and California Shock Trauma Air Rescue (CALSTAR) announced the merger of the two companies creating the largest network of air ambulance bases in California. 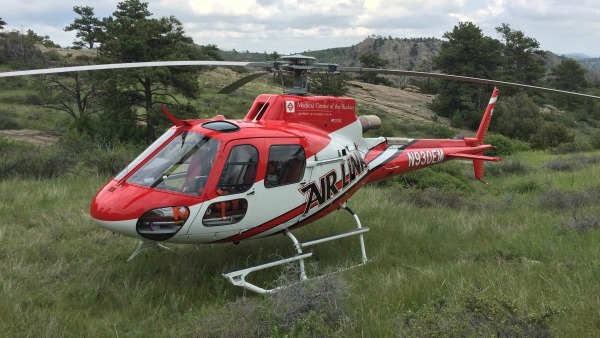 In May, REACH Air Medical Services announced their partnership with the Medical Center of the Rockies' Air Link Program. 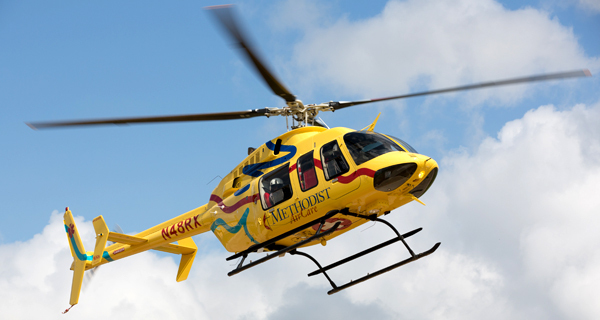 In January, REACH Air Medical Services announced the expansion of services into Wyoming. REACH transitioned ownership and management of the air medical helicopter base in Cody, WY. The company added a second base, located in Greybull, WY, providing patient transports on board a medically-equipped King Air B200 airplane. 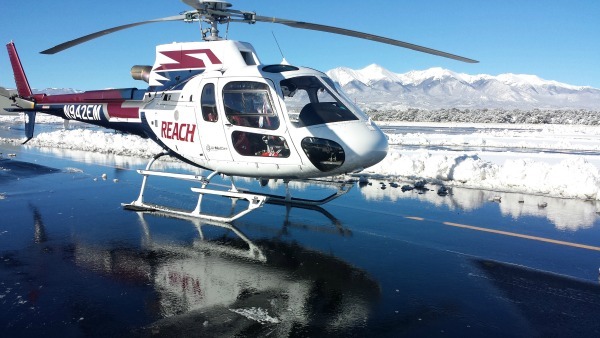 In December, REACH announced the opening of a new air ambulance base in Alpine, California. The new air base, located on the Viejas Indian Reservation, serves the tribal communities and surrounding region with 24/7/365 emergency air medical transports. 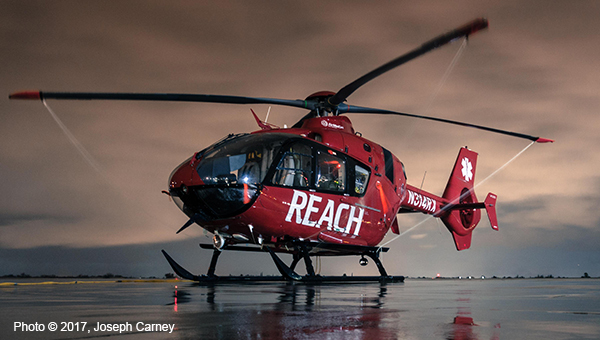 In October, REACH was named Program of the Year by the Association of Air Medical Services (AAMS). Sponsored by Airbus Helicopters, Inc., this award is hailed as one of the air medical transport industry’s highest honors. 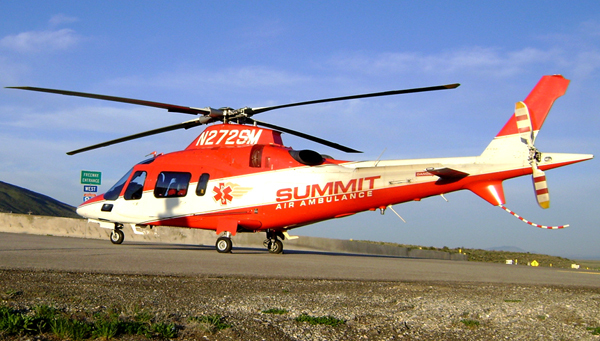 In May, REACH Air Medical Services expanded service to Montana, Nevada and Colorado with the acquisition of Summit Air Ambulance. In February, REACH Air Medical Services completed a major milestone: the successful transport of more than 100,000 patients. REACH expanded operations to serve customers in Mendocino County, California from their new location at Willits Airport. 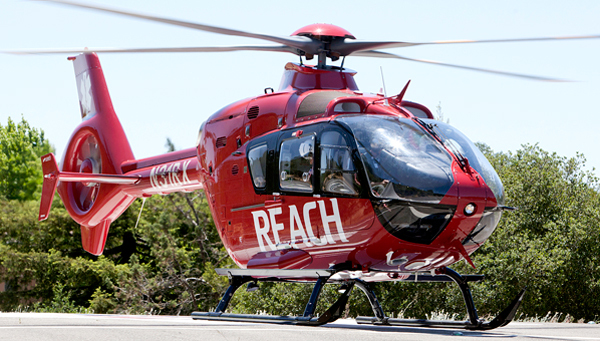 REACH opened new base at Mather Airport in Sacramento, CA providing helicopter air ambulance service to residents. 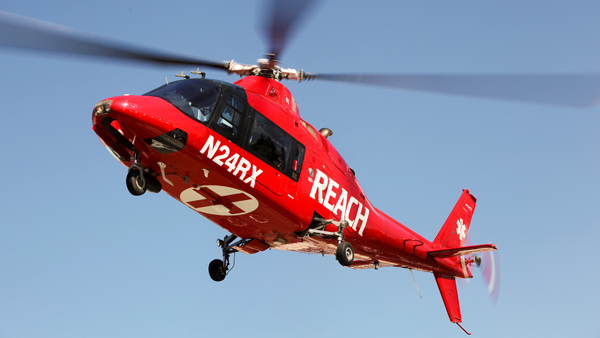 REACH Air Medical Services acquired Emergency Airlift air ambulance service lines and assets in North Bend, OR. REACH expanded its fleet with a second King Air B200 aircraft which will serve customers from our REACH 52 base in Southern California. 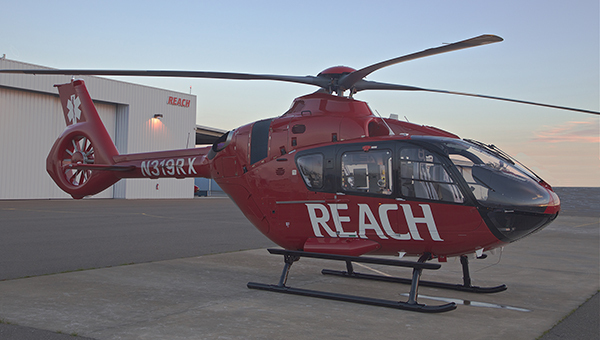 REACH added a new EC135 helicopter to serve patients from our base in Marysville, California. 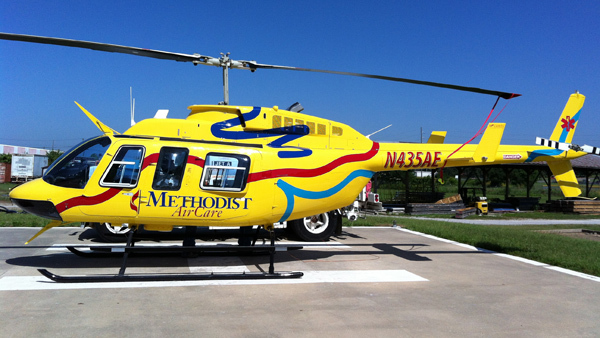 REACH opened a new base at Guadalupe Regional Medical Center in Seguin, TX known as Methodist AirCare 4. This base is an integrated partnership between Guadalupe Regional Medical Center, Methodist Healthcare System, REACH, and AirEvac Lifeteam. REACH expanded operations in Southern California with the opening of REACH 16, our base in partnership with the City of Oceanside Fire Department. REACH expanded network of services with the opening of REACH 52, our second airplane base located in Thermal, CA. REACH celebrated 25 years of patient care. 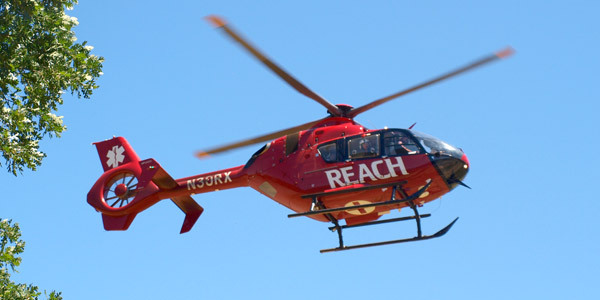 REACH purchased by Air Medical Group Holdings, Inc., joining three AMGH-owned air ambulance companies: Air Evac Lifeteam out of West Plaines, MO; Med-Trans Corporation of Dallas, TX; and Eagle Med of Wichita, KS. 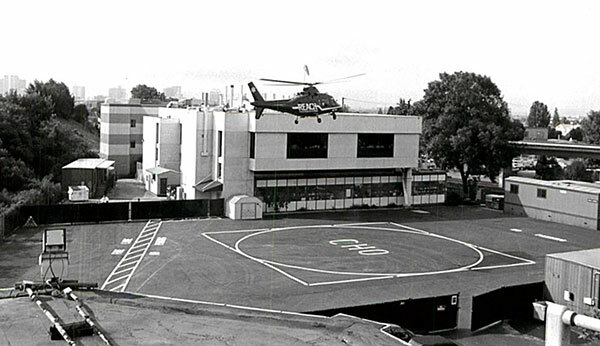 REACH 14, known as Woman’s Air Care, established in partnership with The Woman’s Hospital of Texas in Houston. This base is the only program in the nation to provide air transport exclusively for high-risk maternal and neonatal patients. REACH and Methodist Healthcare expanded their partnership with a second base, REACH 15, known as Methodist AirCare 2, in Pearsall, TX. 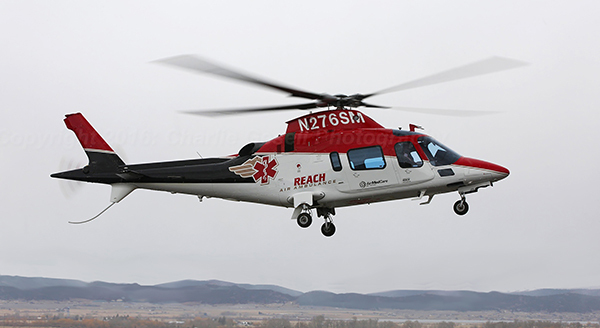 REACH and Cal-Ore Life Flight merged creating the most comprehensive network of air and ground medical transportation in the Western United States. REACH 13 base opened in partnership with Upland Fire and the City of Upland, CA.. 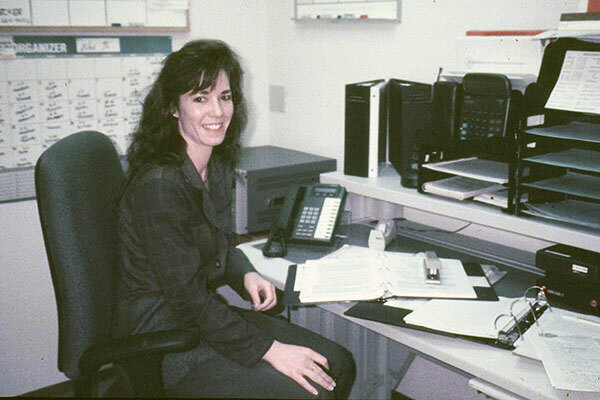 This was our first public/private partnership. REACH 11 opened in Thermal, CA to provide service to Riverside, CA area. 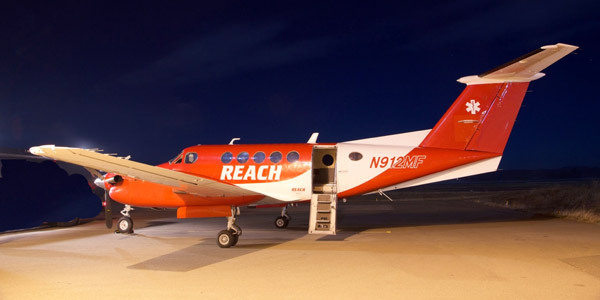 REACH 12, known as Methodist AirCare 1, opened in San Antonio, TX. This partnership with Methodist Healthcare System serves residents of South Texas. REACH 2 moved to new location in Stockton, CA. 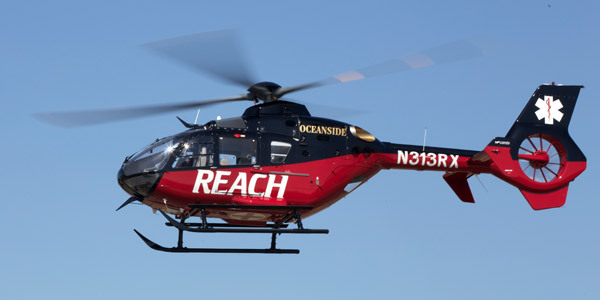 REACH 9 opened in Imperial, CA, the first base to use the new generation helicopter, the Eurocopter EC135. REACH formed an expanded Board of Directors to provide strategic direction and counsel helping to propel REACH into the future. REACH updated branding with a new logo. 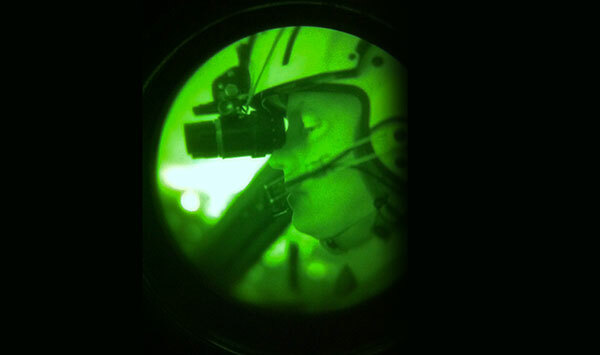 REACH completed installation of night vision goggles (NVG) throughout entire helicopter fleet. REACH 8 established in Corvallis, OR. 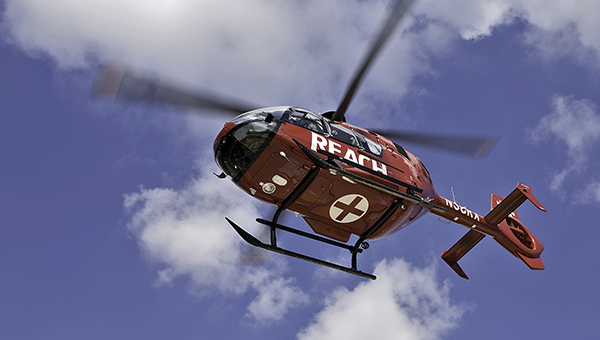 REACH for Life air ambulance membership program launched. REACH 7 began service in Marysville, CA. REACH constructed a new maintenance facility at Charles M. Schulz Sonoma County Airport. REACH 6 established in Lakeport, CA. REACH celebrated 15 years with new logo design. REACH established clinical training institute. Today, REACH educates 1,000+ healthcare professionals each year. REACH 5, a partnership with Redding Medical Center (now Shasta Regional Medical Center) started up in Northern California. 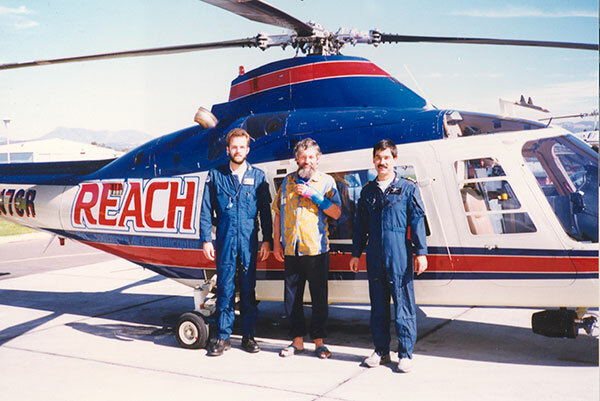 REACH performed first medical helicopter transport in the world utilizing GPS (global positioning system) navigation routes under FAA approval. REACH founder, Medical Director and CEO, John L. McDonald, MD, passes away. 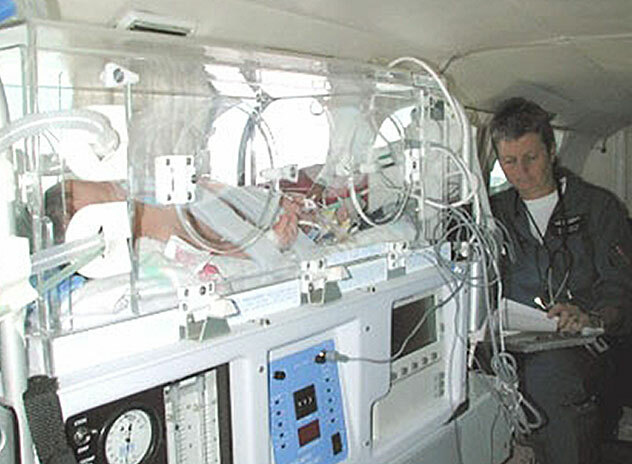 Cindy Scruggs, RN, on board REACH fixed-wing aircraft with neonatal patient. REACH 3 established in Concord, CA. REACH established 24-hour Communications Center. 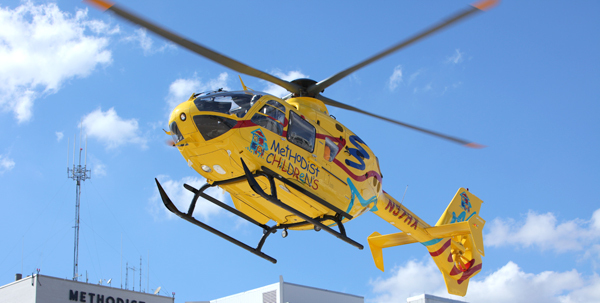 Children’s Hospital & Research Center Oakland (now UCSF Benioff Children’s Hospital Oakland) selected REACH as primary provider of air ambulance services for critically ill or injured children. REACH 2 base opened in Vacaville, CA. 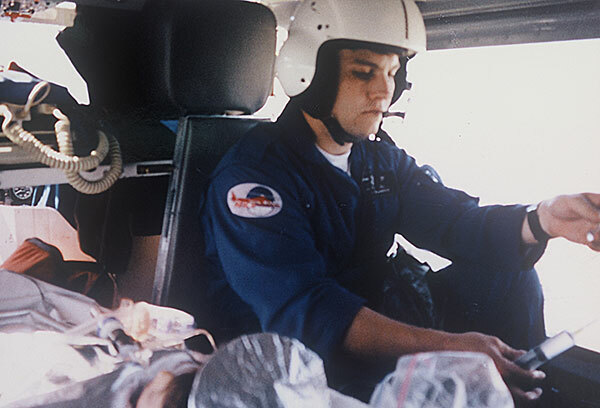 Sean Russell (now President of REACH Air Medical Services), EMT-P, RRT, on board in 1993. REACH expanded service to include use of fixed-wing aircraft. Pilot Ken Suzuki, hire date 1988, and Dean Anderson, one of our first paramedics, with patient survivor. 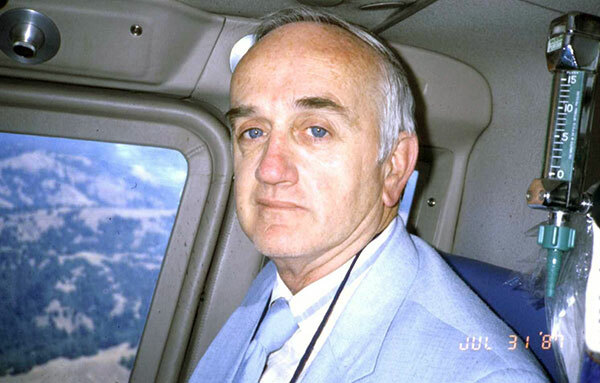 Founded by physician Dr. John L. McDonald, Jr., Redwood Empire Air Care Helicopter (REACH) provides air ambulance services to Northern California. REACH’s first service area map.